I need to make her some of her own placemats. I need to brush up on my packed lunches. 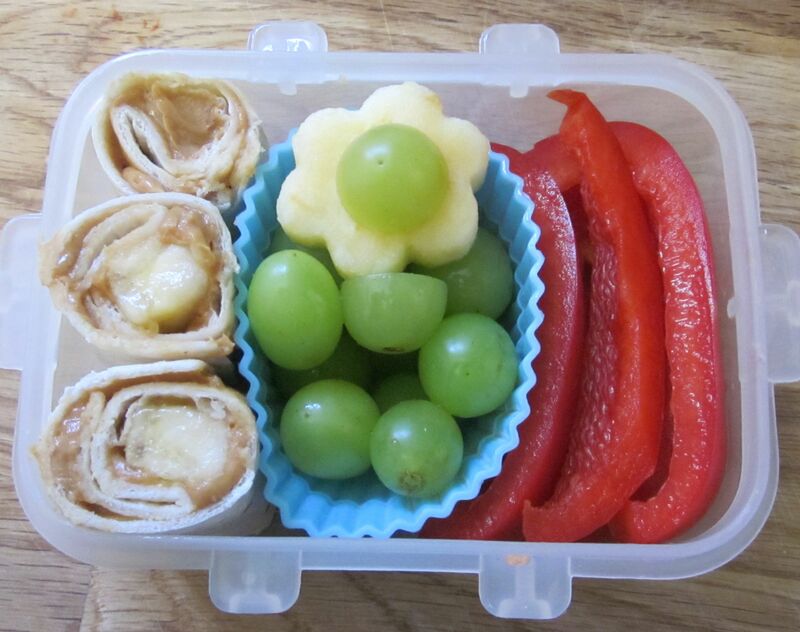 Peanut-butter and banana wraps, green grapes (with a flower-cut apple), red pepper strips. 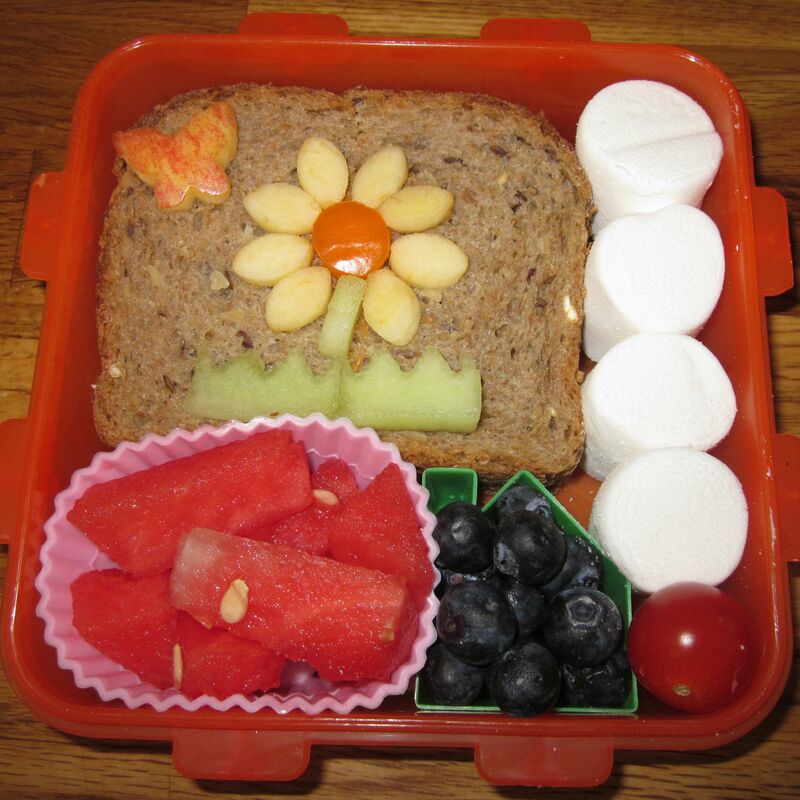 Cream cheese sandwich with flower and butterfly decoration (cut apple and honeydew), watermelon, blueberries in a house-shaped cup, cherry tomatoes, marshmallows as space filler. 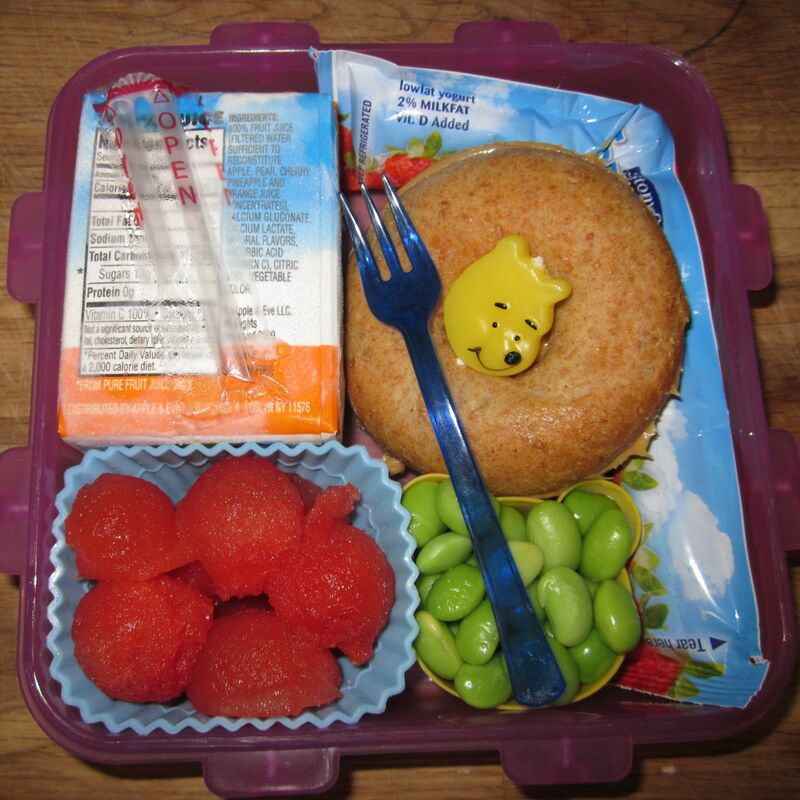 Juice box, yogurt in a tube, mini bagel with soy nut butter (decorated with a Pooh Bear candle pick), edamame, watermelon balls. The tiny fork is a cocktail fork from the party supply store. 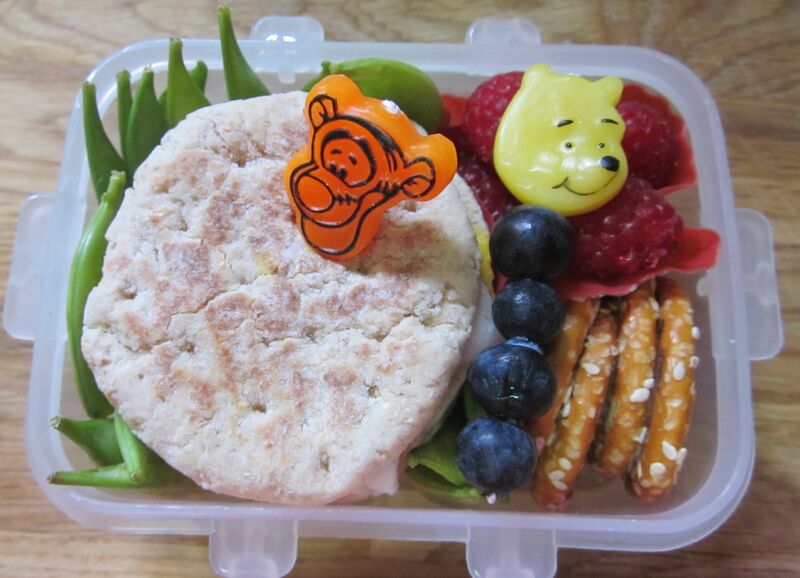 Sugar snap pea "grass", turkey sandwiches on mini sandwich thins, raspberries, blueberries on a Pooh Bear candle pick, pretzel rings. 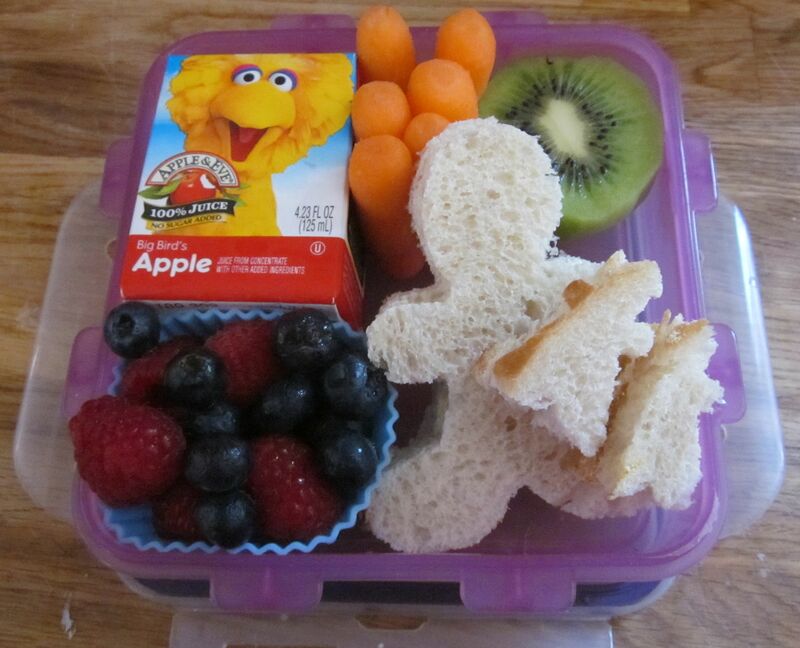 Juice box, baby carrots, half a kiwi, mommy-and-baby-cut sandwiches, mixed berries. So now off I go, to make a list of all the cute/miniature/colourful foods that I need to have on hand this year for lunch packing.